Are you working hard to increase your skills and grasp of the game in order to make the jump to the next collegiate level or perhaps even make it to professional ball? If so, you know that summer baseball is of paramount importance. Because it is so important, your selection of a summer league should be made very carefully. Though there are many programs out there to choose from, some will not help you to achieve your athletic goals and may, in fact, be detrimental to that cause. Don’t be fooled by a sideshow of bells and whistles and slick marketing; look beyond the cheap thrills and peripheral trappings. A summer collegiate league should be focused upon player development and opportunity, not entertainment. A quality summer program creates and maintains a highly competitive environment, which is vital for honing one’s skills. A player may enjoy tremendous success in a weaker program - and that might be fun while it lasts - but the effect of ‘playing down’ can be devastating in the long run, as the all-important edge is taken off the steel. Summer baseball is all about the fall and the following spring, where you’ll want to be at your very best. Playing down will not help you to achieve that goal. Furthermore, participation in a weak program will severely limit your chances with college coaches and pro scouts. These are the people that you want to come out and watch you play. That is much less likely to happen if the level of play is inferior. Why? A high batting average or a low ERA means little to nothing when it is earned in a weak league. On the other hand, a quality summer program establishes the proper competitive context for a player’s accomplishments. Coaches and scouts know that and are more likely to give serious consideration to a player who succeeds in one. Finally, a quality summer program has strong traditions and roots in both collegiate and professional baseball. If you are a serious ballplayer, you will want to associate with a league that has a storied history of developing college and professional players; a league that understands it is but a means to achieving an end and takes that responsibility to heart. The St. Louis Metro Collegiate Baseball League is such a program. Just ask any of the thousands of alumni who competed in the Metro League since its founding in 1979. Many of them went on to successful collegiate and professional careers - some all the way to the Major Leagues. In the Metro League, we make the main thing the main thing; and the main thing is quality baseball. That’s why we exclusively swing wooden bats, a hitter’s tool that any knowledgeable baseball man deems important. That’s why we play on some of the finest fields in St. Louis and schedule three-man umpiring crews for all league games. That’s why we are members in good standing with the National Amateur Baseball Federation, holding three national titles (2003, 2013 & 2015). That’s why our coaching staff is comprised of college coaches and former collegiate and professional players. That’s why many former Major Leaguers entrust their sons to our program and so many college coaches do the same. We do what we do because we are focused on your success. We deliver on the promise to provide opportunity for development and advancement. While certain other programs relegate baseball to a secondary role, we know that it is of primary importance to competitive ballplayers. So if that’s what you are looking for in a summer baseball program, you need to associate with the St. Louis Metro Collegiate Baseball League - THE premier summer collegiate program in St. Louis and the surrounding region. Here in the Metro League we’re serious about baseball ... are you? 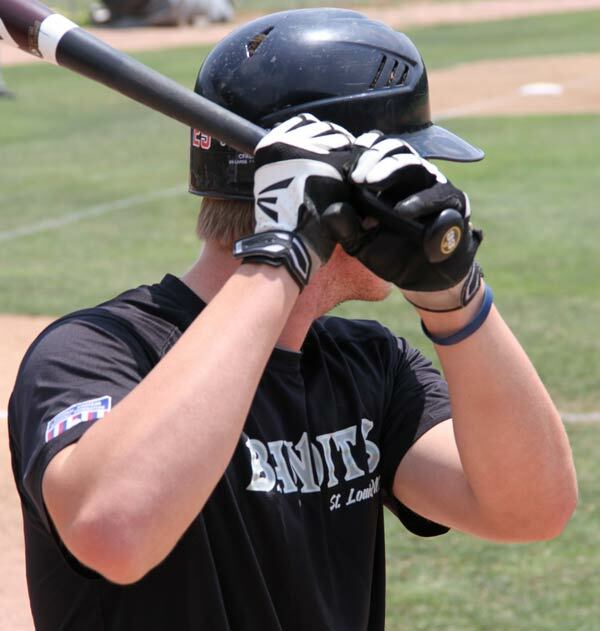 *The St. Louis Metro Collegiate Baseball League exists exclusively for the benefit of current college players and select high school seniors who have signed a letter of intent to play at the collegiate level.